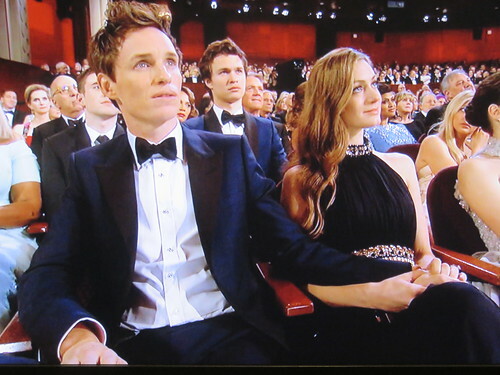 Every year the Oscar show unfolds and seems to last forever and every year everyone complains about it. I always tell myself I’m not gonna watch anymore and then, of course, I do. All the way to the end, which is way past my bedtime. This year, the Oscar show was more like the Independent Spirit Awards, with virtually the same movies in competition. Lots of indie people filled the auditorium and few bonafide Hollywood stars of any magnitude were around. There were lots of presenters I didn’t recognize, some of whom I’ve heard of but wouldn’t have been able to recognize (e.g. Chris Pratt), some of whom I’ve never heard of (Ansel Elgort, anyone? ), and some whom I’ve heard of but was seeing live for the first time (Margot Robbie). And there were frequent cuts to audience members, presumably nominees, whom I was clearly supposed to know but didn’t. 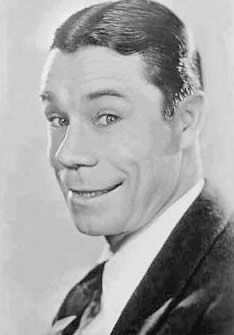 Joe E. Brown was a major comedy star at Warner Bros. from 1930 to 1936, making 20 starring features for them during that period, until he left the studio for an ill-fated contract with an independent producer that led to a series of lackluster vehicles that brought his starring career virtually to an end. He wound up in B-movies, with an occasional character part in A-movies, turning up years later on television and in memorable bits in such films as AROUND THE WORLD IN 80 DAYS, SOME LIKE IT HOT, and IT’S A MAD, MAD, MAD, MAD WORLD. Tags: Earthworm Tractors, It's a Mad Mad Mad Mad World, Joe E. Brown, Polo Joe, The Gladiator, Warner Bros.